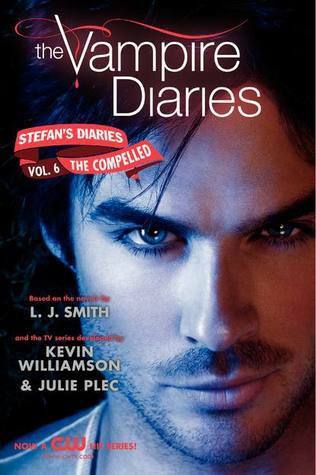 Presenting The Vampire Diaries: Stefan's Diaries #6 The Compelled. The story arc of Stefan's Diaries continues in this sixth installment. Control or be controlled . . .Stefan and Damon thought they knew evil. But nothing compares to Samuel, the ruthless vampire hell-bent on avenging Katherine's death by destroying the Salvatore brothers. Reeling from Samuel's latest attack, Stefan and Damon find help in the most unlikely of places—a secret coven of witches. Together they discover Samuel's plan is more sinister than they ever could have imagined. Their only hope is to stop him before he secures the power to control humans and vampires alike. If they fail, not only Stefan and Damon but all of London will fall victim to Samuel's spell. Again beginning right after the previous one ended, the compelled takes the story in a whole new tangent. One brother...only one more to go. Henry is dead, Damon is taken by Samuel and Stefan and Cora are at their wits' end not knowing what to do next. Things are difficult but truths are revealed about why the heck is Samuel turning the streets of London into a blood-bath with all the skewered murders he had committed of girls and since vampires are subtle about the way they drink blood from live victims, by just puncturing two holes not scream bloody murder and pull out all their body parts....so that's a little thing that is suspicious in there. Both line I think this is supposed to be the final book.....maybe they'll extend it....i don't know yet but if they i'll definitely read it even I like this book less than the previous one. Only the plus side Elijah was mentioned in here so it was totally awesome.....The action scenes were very well done and the dynamic relationship between Stefan and Damon were the core of the book. "An unlikely alliance to prevent Compulsion"